2 Short Films and Lunch Talk with Namibian Film Maker Joel Haikali. Our guest is one of the most distinguished film makers from Namibia, Joel Haikali. During the lunch talk with him, two of his recent short films will be presented: “Move” and “Differences”. “Move” is a short film about three people, who are living in Namibia and are connected by migration. In the short documentary they critically reflect on their experiences as migrants, reasons for migration, prejudices and global power relations. 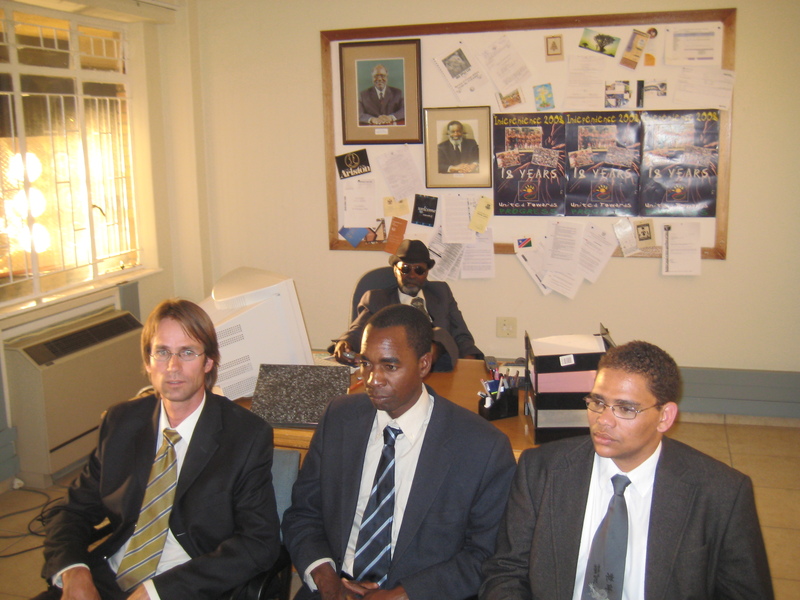 The short movie “Differences” tells the story of three meticulous Windhoek office workers. The idyllic lives of the three men – one black, one coloured, one white – is disturbed when they suddenly wake up next to each other’s wives one morning. Joel Haikali, the founder of Joe Vision Production, is an award-winning director, writer, producer, and actor from Namibia. He is also a television lecturer and the former Chairperson of the Filmmakers Association of Namibia (FAN). His long feature comedy-drama “My Father’s Son will be shown on 23rd February in Freiburg (D).